Christian Kelley does not have any MLB stats for the season. Draft: 2015, Pittsburgh Pirates, 11th rd. Christian Dane Kelly...Is a 2012 graduate of Don Lugo High School in Chino, CA...Received All-Mt. Baldy League second-team honors as a junior...Guided the Don Lugo team to a Mt. Baldy League championship and earned league MVP honors after hitting .434 with three home runs and 31 RBI during his senior season...Played baseball at California State Polytechnic University, Pomona, where he majored in Kinesiology...Was nominated for a Division II Gold Glove Award as a catcher in 2015 at Cal Poly Pomona…Was named to the NCAA Division II West All-Region second team in 2015 and was also a first-team AllCalifornia Collegiate Athletic Conference Association honoree... Signed by Pirates scout Brian Tracy. Attended first big league camp as a non-roster invitee with the Pirates...Spent entire season with Single-A Bradenton, where he was named to the Florida State League's mid-season All-Star team...Ranked first among all Florida State League catchers in games (89), total chances (757), putouts (653) and assists (97)...Also ranked fourth in the league after throwing out 25.3 percent of the baserunners attempting to steal against him (23-for-91)...Hit safely in five straight games from 4/7-13 and in eight of his nine contests from 4/7-18...Hit his first home run and tallied three RBI on 5/5 vs. Dunedin...Recorded his first career stolen base on 5/13 vs. Palm Beach...Hit .346 (28- for-81) in 22 games during the month of May...Hit his second and final home run on 6/9 at Dunedin...Batted .275 (22-for-80) vs. lefthanders and .233 (57-for-245) off righties. April 2, 2019 C Christian Kelley assigned to Indianapolis Indians from Altoona Curve. 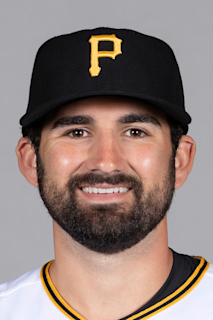 January 5, 2019 Pittsburgh Pirates invited non-roster C Christian Kelley to spring training. April 5, 2018 C Christian Kelley assigned to Altoona Curve. January 22, 2018 Pittsburgh Pirates invited non-roster C Christian Kelley to spring training. January 9, 2017 Pittsburgh Pirates invited non-roster C Christian Kelley to spring training. October 2, 2016 Bradenton Marauders activated C Christian Kelley from the 7-day disabled list. September 12, 2016 Bradenton Marauders placed C Christian Kelley on the 7-day disabled list. Lower back strain. August 10, 2016 C Christian Kelley assigned to Bradenton Marauders from West Virginia Power. April 5, 2016 C Christian Kelley assigned to West Virginia Power from West Virginia Black Bears. March 18, 2016 C Christian Kelley assigned to Pittsburgh Pirates. June 18, 2015 Pittsburgh Pirates signed C Christian Kelley.